This exuberant floral print is bursting with life and color. 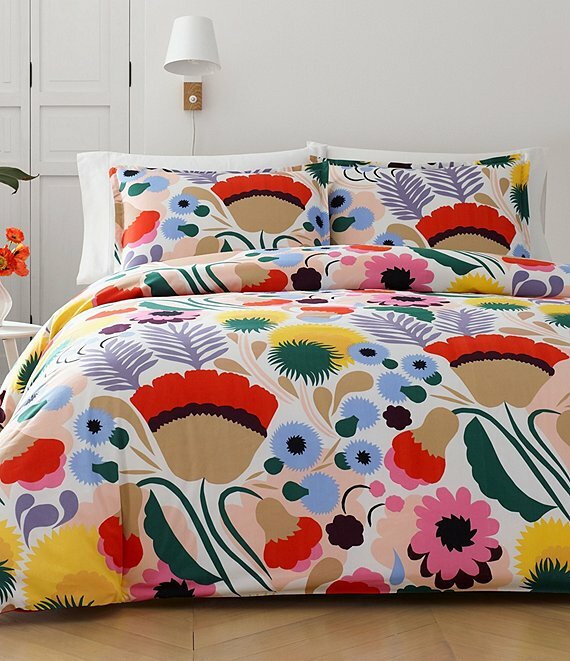 Marimekko's youthful, graphic style has held a unique appeal to a style-conscious audience for several generations. Their signature looks are as fresh as ever and perfect for today's modern individualist. Boldly scaled, artistic, and colorful, Ojakelkukka will brighten every morning. Comforter approx. 86 x 68"
One sham approx. 20 x 26"
Comforter approx. 96 x 90"
Comforter approx. 96 x 108"